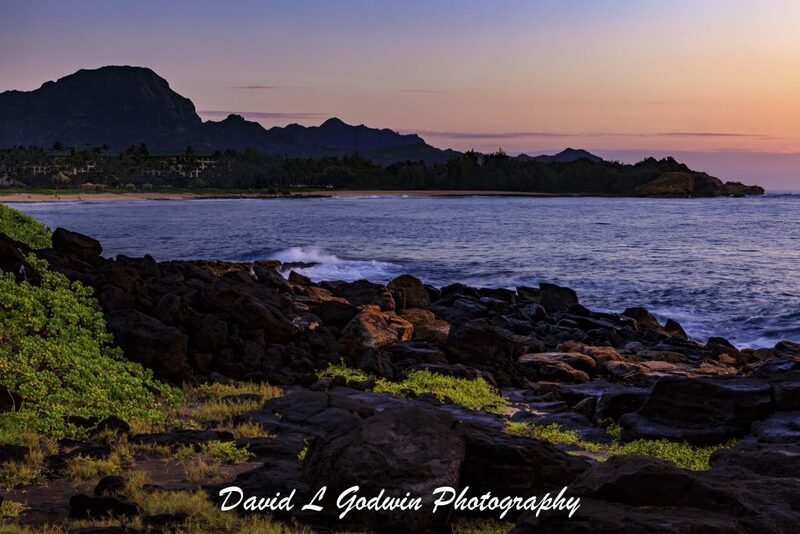 My wife Kathy and I were fortunate to spend a month long vacation on the southern coast of Kauai. We stayed at an oceanfront condo in Poipu and this gave me great access to get out and explore the area for sunrise and sun set images. These 4 images were some of my favorites . 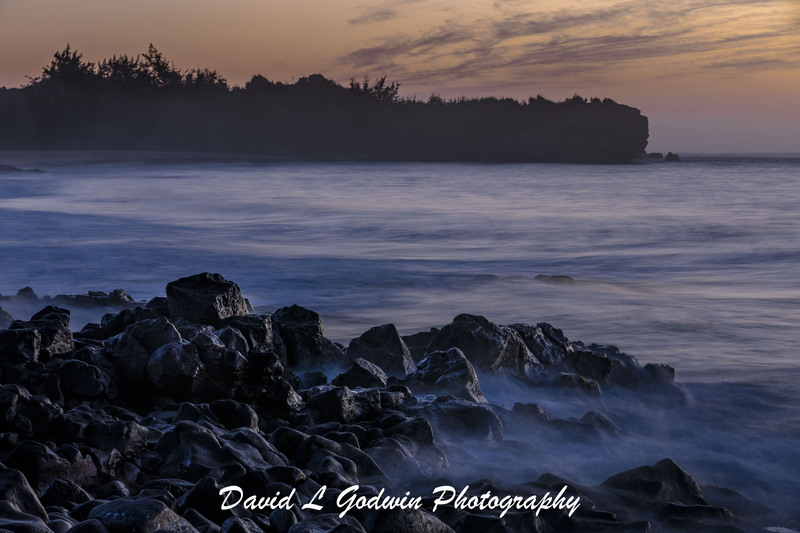 The first image captures the beauty of the first light and shows Shipwrecks beach and Sleeping Giant mountain behind. The second image captures the warm golden light as it hits the rocky coast, you can also see the clear blue water and the waves washing over the rocks. 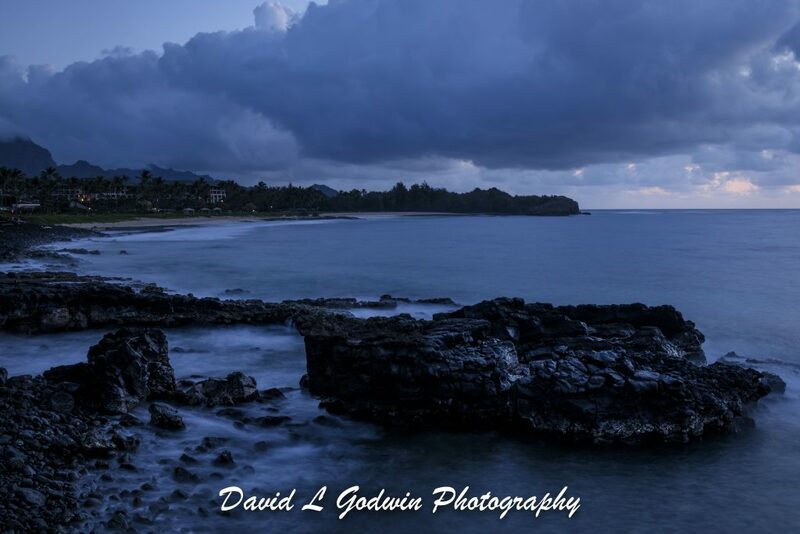 The 3rd image is about 15 to 20 minutes before sunrise and shows a great blue hour landscape along the rocky coast. 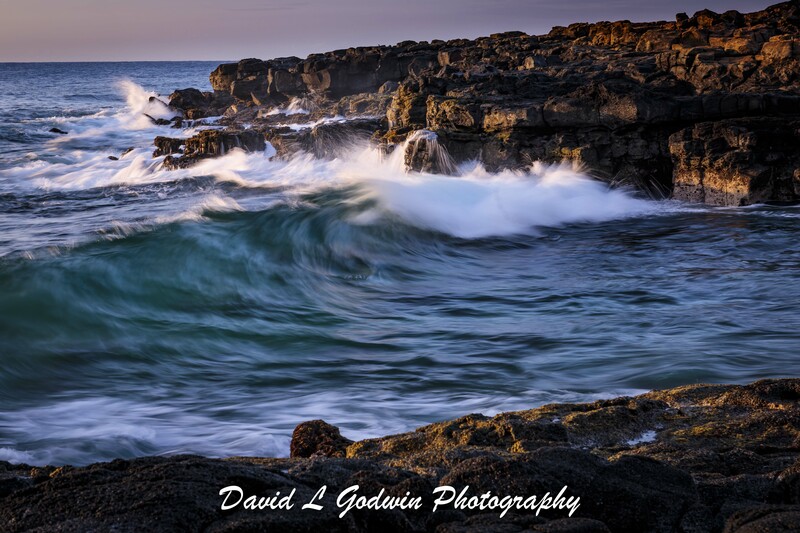 The last image in this sequence captures the mood of the sunshine, you can see the sun colored sky and lighted bots of lights in the foreground lights and I love how the long exposure shows the waves as mist like movement over the foreground rocks.